Few Months back Nokia 1 launched in India as a low budget/entry-level Smartphone, which comes with Android oreo 8.1, it was powered by 1.1GHz quad-core MediaTek SoC and 1GB of RAM. The phone was packed 8GB of internal storage. 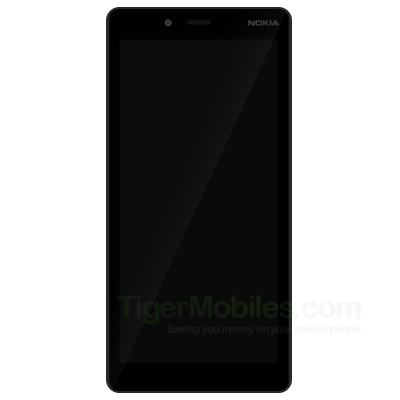 Now today the successor of Nokia 1 is leaked with its Key specifications and Renders by TigerMobiles. The Device is Nokia 1 Plus which will sport a 480 x 960 (qHD+) resolution Display with a screen density of 231 PPI. The Device will be based Android 9 Pie, under-the-hood there will be a 1.5 GHz MediaTek MT6739WW cost-effective SoC, four Cortex-A53. On the leak, there is 1 GB RAM variant displayed just like its predecessor. Talking about the GPU it is the IMG PowerVR GE8100 with a frequency up to 570MHz. The display size is not mentioned in the leak but it should be around 5 inches, other specifications are not yet known which we have to wait and see. Though it is very early to say anything about pricing but according to its key specifications and predecessor which was priced under 6,000 INR, it should be priced around 6,000 INR. The phone is expected to launch at the end of next month, Stay tuned with Alloftop for more updates on this Smartphone.